The Roof Top Garden is located on the third floor of the Ice House and is accessible by elevator. Perfect for Wedding Ceremonies! There is also a small Rooftop Patio that is ideal for an additional bar, cigar or lounge area. 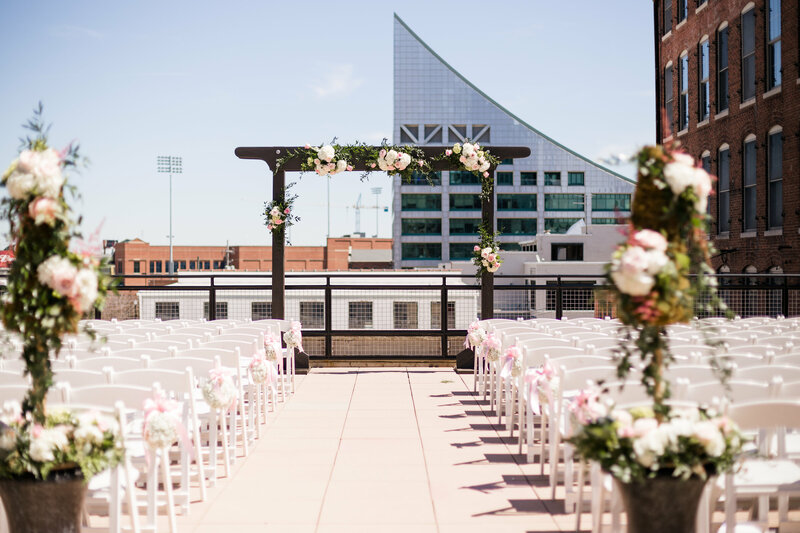 With its breathtaking views of Slugger Field and the Downtown area – your guests will leave with lasting memories. Square Footage: 4,000 Sq. Ft.
Full landscaping and sectioned area of “green space” – unique to the Ice House only!